Top industrialists and business leaders on Wednesday stressed the need for continuation of the Awami League-led government for sustainability of the existing business policy to accelerate private sector growth and make the country’s economic base stronger. Referring to the growth and progress achieved in every sector over the last ten years under the leadership of Sheikh Hasina, they vowed to continue their support by making new investments and creating new jobs. The business leaders and eminent business personalities were speaking at a business conference organised by Federation of Bangladesh Chambers of Commerce and Industries (FBCCI) at Bangabandhu International Conference Centre in the city. Prime Minister Sheikh Hasina was present at the conference as the chief guest. Today’s Bangladesh has become a role model before the world for its surprising GDP growth. Praising the tremendous economic progress made possible by the Awami League government in last ten years, he said Prime Minister Sheikh Hasina is building a Sonar Bangladesh [Golden Bangladesh] with her visionary leadership. “Before 2008, businesspeople could not get sufficient power supply due to electricity shortage. But today, businesses are getting as much electricity as they need,” Ahmed Akbar Sobhan said. “We sought around 400MW of electricity for establishing heavy industries in Mirsharai and the government is ready to provide us with the electricity,” he said to cite an example of the Awami League-led government’s commitment to industrialisation and growth. 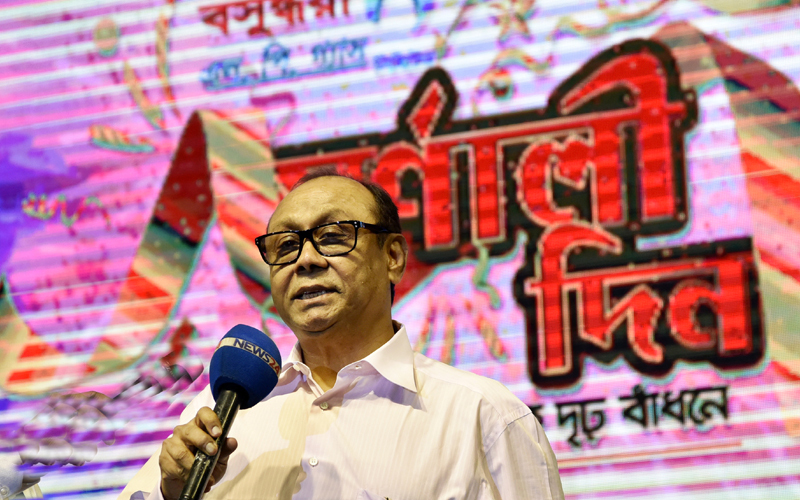 Talking about the upcoming national election slated for December 30, the Bashundhara Group chairman urged the business community to extend their all-out support to Awami League for the sake of the country’s development. Referring to the sheltering of Rohingyas, he praised the humanitarian role of Prime Minister Sheikh Hasina. “She offered shelter to lakhs of Rohingyas showing the greatest gesture of generosity and humanity,” he said. Salman F Rahman, private sector development affairs adviser to Awami League president, said the business community is grateful to Sheikh Hasina as she extended cooperation to every business person, irrespective of their political affiliation, to do business freely over the last 10 years. “The Awami League government has done everything for the people of Bangladesh. Everyone has to admit that businessmen irrespective of their political belief or party can now run their business smoothly,” Salman F Rahman said. “Many big deals were signed in the country in the last ten years. But businesses never faced any interference as they faced from Hawa Bhaban during the BNP regime,” he said, adding that Digital Bangladesh has become a reality now. FBCCI president Shafiul Islam Mohiuddin said the Federation is a non-political organisation and its role is to facilitate business for the private sector and strengthen the country’s economy. “But the motto of today’s business conference is to seek the continuation of the current [Awami League] government, and the continuation of policy and consistency of growth in every sector,” he said. DCCI president Abul Kasem Khan urged the politicians to put more focus on the country’s human resource development in the coming days. BKMEA president Salim Osman said Bangladesh needs the continuation of Awami League-led government one more time for the sake of its future. Former FBCCI president AK Azad, who is the chairman and managing director of Hameem Group, FBCCI Senior Vice-President Sheikh Fazle Fahim, Mohammadi Group Managing Director Rubana Huq, BASIS President Syed Almas Kabir, Microsoft Bangladesh Managing Director Sonia Bashir, Envoy Group Chairman Kutubuddin Ahmed, Anwar Group Managing Director Manwar Hossain, BSRM Group Chairman Alihussain Akberali, former BGMEA president Anwarul Alam Parvez, Dokan Malik Samity President Helal Uddin, noted entrepreneur Rokeya Afzal Rahman and many other industrialists also spoke on the occasion. Bashundhara Group Chairman Ahmed Abkar Sobhan said on Friday that he has a plan to set up a mega cultural centre with a capacity of 30,000 seats in Bashundhara for the sake of cultural progress in Bangladesh. 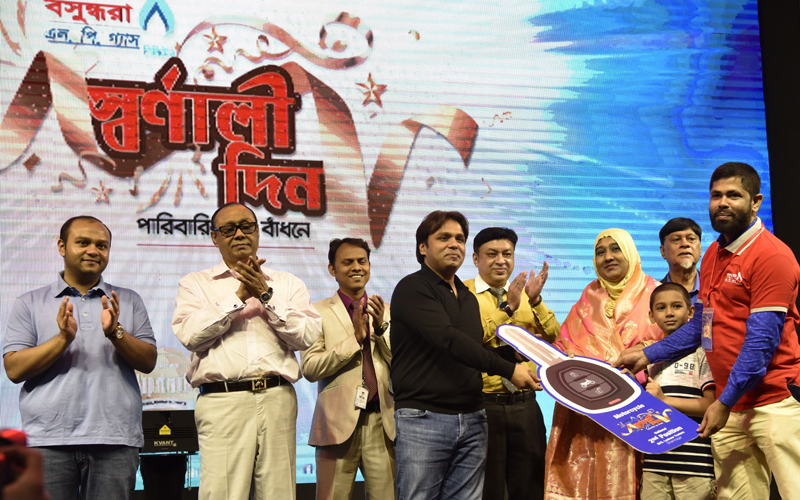 The business tycoon expressed his eagerness while addressing the inaugural ceremony of the Diwali Concert in Bashundhara residential area of the capital in the evening. The Indian High Commission in Dhaka in association with Bashundhara Group and Bengal Group arranged the concert to mark the Diwali in Bangladesh. India is the greatest friend of Bangladesh. I’m really proud of joining such a gracious programme on my own land and glad to see the gathering. The Bashundhara Group chairman asked for cooperation from the ministries concerned and the Indian High Commission in this regard. Speaking on the occasion, Indian High Commissioner in Dhaka Harsh Vardhan Shringla said Diwali represents triumph of good over evils and lights over darkness. He said it is the festival of lights celebrated by the Indian communities around the world. It’s been a tradition to celebrate Diwali in Dhaka by the Indian communities and the Indian High Commission for last few years. “As we would like to involve our Bangladeshi friends in the celebrations, we arrange the Diwali here every year,” he added. The Indian high commissioner thanked Bashundhara Group and Bengal Group for their cooperation in arranging the concert. Shringla also announced that Bangladeshi singer Mehreen and Indian singers Shankar, Ehsan, and Loy will launch a music album in the upcoming Pahela Boishakh and that would be an India-Bangladesh joint venture. In his speech, Bengal Group Chairman Abul Khair Litu said this concert has been arranged to create communal harmony in society. In the concert, Indian musical trio Shankar Mahadevan, Ehsaan Noorani and Loy Mendonsa performed to delight the audience. The award-winning Mahadevan, Noorani and Mendonsa rendered their chart-topping hits at the event. Ahmed Akbar Sobhan, Chairman of Bashundhara Group, receives a crest from Terence Hamilton Ireland, principal of India’s famed educational institution St James School, in the city’s Bashundhara residential area on Saturday. Before meeting the chairman, the principal and other delegation members of the institution visited different industrial entities and projects of Bashundhara Group. They expressed their admiration for the success and achievements of the Group, country’s one of the largest industrial conglomerates. Bashundhara Group Chairman Ahmed Akbar Sobhan has been honoured by Bangladesh Ansar Academy for his contribution to the welfare of the people. He was accorded a reception at Bangladesh Ansar Academy at Shafipur in Gazipur on Saturday afternoon. On his arrival at the academy, the Bashundhara Group chairman was received by Director General of Bangladesh Ansar and Village Defence Party (VDP) Major General Sheikh Pasha Habib Uddin.Later, Ahmed Akbar Sobhan exchanged views with top officers of Ansar and VDP at the academy auditorium. The director general of Ansar and VDP, additional DG Brigadier General Muhammad Nurul Alam and Deputy Director (administration) Colonel Mohiuddin Md Jabed, among others, were present. Top officials of Bashundhara Group also attended the view exchange meeting. The meeting was followed by a cultural function. Colonel Mohiuddin Md Jabed said various activities of Bashundhara Group and Ansar and VDP came up for discussion at the meeting. The two sides assured each other of extending cooperation.Later, Ansar Academy presented a crest to the Bashundhara Group chairman. Information Minister Hasanul Haq Inu on Saturday urged the media to pursue objective journalism to play a vital role in helping democracy flourish. 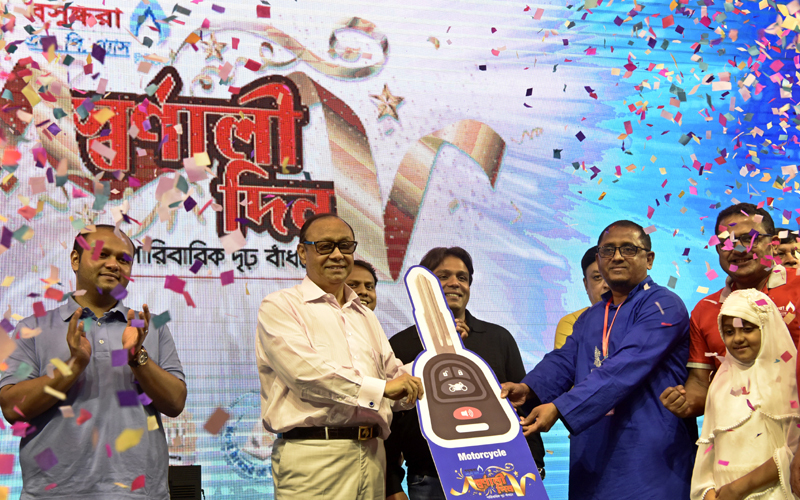 He made the call while speaking at a ceremony marking the second anniversary of News24, a satellite television channel owned by Bashundhara Group, country’s largest business and industrial conglomerate, at International Convention City Bashundhara in the capital. The minister also urged the media to effectively face three challenges before them — militancy, cybercrime and yellow journalism. 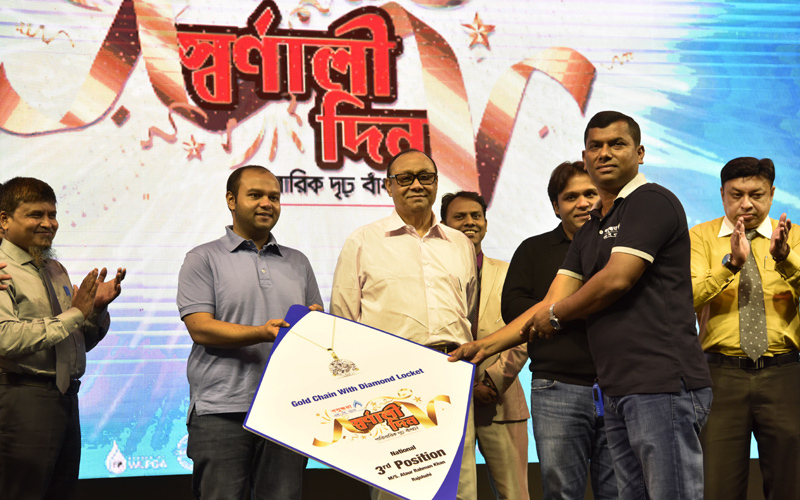 News24, a news-based nonstop television channel under East West Media Group Ltd (EWMGL), a concern of Bashundhara Group, celebrated the second anniversary with a renewed pledge to showcase the country’s positive image across the globe. The celebration began with a reception accorded to the players of Bangladesh’s war-time football team called ‘Shwdhin Bangla Football Team’ by News24 in recognition of their contribution to the country’s independence. The footballers are Zakaria Pintoo (captain), Protap Shankar Hazra (vice-captain) and Mohammad Abdus Sattar Miah, Mohammed Kaikobad, AKM Nowsheruzzaman, Saidur Rahman Patel, Kazi Salahuddin, Aminul Islam Suruj, Bimol Kar, Sheikh Taslim Uddin, Dhiren Das, Lutfar Rahman, Shuvash Saha, Fazle Sadain Mridha and Sheikh Ashraf Ali. Bashundhara Group Chairman Ahmed Akbar Sobhan and Managing Director Sayem Sobhan Anvir and the information minister handed over crests to them. Bashundhara Group managing director’s son Walid Sobhan was also present on the occasion. The Bashundhara Group chairman expressed the hope that News24 will always speaks for the people and showcases the country’s development across the globe. He thanked all viewers of the TV channel in 134 countries across the world. News24 Chief Executive Naem Nizam highlighted the success of the television channel and the dedication and hard work put together by his team that helped drive the enormous popularity of the new channel in a short span of time. “As a latest entity of East West Media Group, News24 commenced its journey two years ago with a vow to project the positive image of Bangladesh across the world. Now, viewers from 134 countries watch our news programmes,” Naem said. He informed that the news-focused channel always upholds the dignity of country’s glorious liberation war with the participation of people of all views and ideas. On behalf of the footballers, Bangladesh Football Federation (BFF) Senior Vice President Abdus Salam Murshedy expressed gratitude to the News24 authorities for recognising the members of Swadhin Bangla Football Team. Later, Bashundhara Group Chairman Ahmed Akbar Sobhan, along with Managing Director Sayem Sobhan Anvir, his son Walid Sobhan and other distinguished guests cut a cake marking the second anniversary of the TV channel. Former minister GM Quader, Dhaka South City Mayor Mohammad Sayeed Khokon, Bangladesh Nationalist Party (BNP) Vice-chairman Khandaker Mahbub Hossain, Joint Secretary General Moazzem Hossain Alal, Jatiya Party Secretary General Ruhul Amin Howlader, members of parliament Shamim Osman and Kazi Feroz Rashid, Supreme Court Bar Association (SCBA) President Advocate Zainul Abedin, HRPB President advocate Manzil Morshed, former FBCCI presidents Abdul Awal Mintoo and Mir Nasir Hossain, BGMEA President Siddiqur Rahman and former president Atiqul Islam, RAB Director General Benazir Ahmed, DMP Commissioner Asaduzzman Miah, ophthalmic surgeonSyed Modasser Ali, Bangladesh Sangbad Sangstha Managing Director Abul Kalam Azad and Prime Minister’s Deputy Press Secretary Ashraful Alam Khokon came to greet the television authorities at the anniversary event. Daily Sun Editor Enamul Hoque Chowdhury, Kaler Kantho Imdadul Haq Milon, Publisher of newspapers under EWMGL Maynal Hossain Chowdhury, News24 Executive Director Hasnain Khurshid, Daily Sun Executive Editor Shiabur Rahman, Kaler Kantho Executive Editor Mostofa Kamal, News24 Head of News Shahnaz Munni and Head of Current Affairs Samia Zaman were also present. News24 started its journey as a broadcast media entity of EWMGL on July 28 in 2016.